Wakaflex is a lead free, flexible, adhesive flashing designed to replace lead in most modern roofing applications. 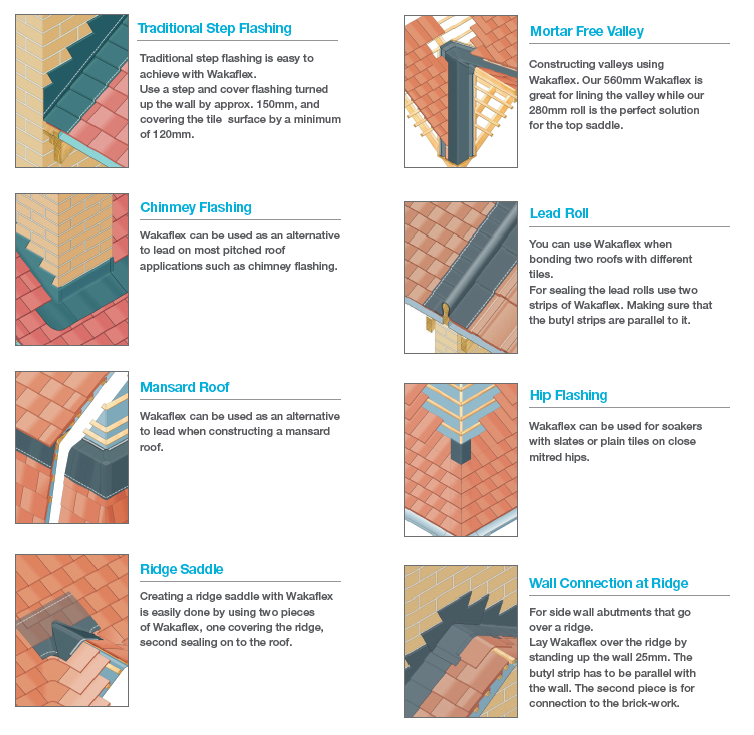 The product has many advantages over traditional lead roof flashings and abutments for those working in the construction industry, including the simple and quick installation process and non-toxic, lightweight material. Easy application through high stretchability in both directions of the material and has a unique product composition with a self-welding effect. to blend in with the roof: (Light Grey, Anthracite Grey, Red and Brown). For more information about Wakaflex or the Klober range of ventilation options visit your nearest SIG Roofing branch today.